Before Drew Pearce co-wrote Iron Man 3, he was working on a screenplay of Brian K. Vaughan's amazing comic The Runaways. And before that, he created the superhero sitcom No Heroics. He talked to io9 about how those projects helped lead to Iron Man 3, and also addresses Iron Man 3's most controversial twists. Maximum spoilers! How did you go from doing No Heroics, which was more of a superhero spoof, to co-writing a straight-up superhero movie? I’d made my superhero TV show No Heroics, and that led to writing Runaways for Marvel — but in September 2010, that project started to lose momentum, due to the imminent gigantic world-building of Avengers. And at the same time, I had my first kid. I was up at 4am every morning, feeding the baby and going out of my mind with lack of sleep. I started to watch DVDs – including the first Iron Man, which I consider the gold standard of modern superhero movies, and Iron Man 2, which I do not. And basically, I started thinking of what I’d do with a third movie. And writing it down. And at some point, after four weeks, I had a 30-page document. I have no idea how. That pitch has subsequently become known at Marvel as “the Jerry Maguire document”. Their reaction was a deafening silence. In fact, in Stephen’s case, when I met him in a corridor later that year, there was a look of genuine fear in his eyes that suggested he thought I was a psychopath. Quite understandably. So I forgot about the document, and got on with my life. Three months later, I got a call from Kevin’s office saying he was in London recording the orchestra for Thor and had some free time — would I take a general meeting? I said of course, and met him in a Starbucks — where he opened his ipad, and there sat the Jerry Maguire document. I literally did not remember a word I’d written. But we talked, and then he flew me out three days later to LA, and we talked some more. And finally, after a lot of hoop jumping, I got the job. Obviously, then Shane came on, and there was a well-documented week of arranged-marriage awkwardness, where it would’ve been VERY easy for me to get fired. But luckily, the marriage turned into a romance, and now Shane and I are happily shacked up… and the rest is threequel history. No Heroics takes place in a world with tons and tons of superheroes, and it sort of looks at superheroes as celebrities. Whereas in Iron Man 3, Tony Stark has only just been confronted with being one among a number of public superheroes, but he's been a celebrity all along. How did the sort of ideas about superheroes and celebrity from No Heroics inform your work on the Iron Man 3 script? Do you still think of superheroes as a way to look at issues of fame and social status? I think, weirdly, there’s a huge tonal similarity between No Heroics and Iron Man — in a way that isn't true of other superhero franchises. What Jon Favreau did, with that masterful last line of the first movie, is create a superhero universe aware of it’s own reality. It’s allowed to have fun with that, though hopefully avoids too much winking to the camera. But it actually ADDS to the sense of “reality”, because it makes everything more relatable. And so, when it came to OUR Iron Man movie, Shane and I tried to answer the question of this growing universe: how does a real guy, however talented, react to this new world of gods and monsters? And that’s an idea very much at the heart of No Heroics too. What did you learn from working on the Runaways screenplay about adapting comics for the big screen? I learnt that the way I prefer to do it involves trying to stay faithful to the spirit of a book without slavishly following its detail. What makes a good comic book doesn’t necessarily make for a good movie (and that’s the same of ALL adaptation, I’d argue). Having said that, there are often ideas and personality baked into the DNA of a character that are crucial, and it’s important to tap into that, because it’s what makes these mythic figures resonate through the ages. But… that question is obviously relevant to the Mandarin discussion as well. Because honestly, Shane, Marvel and myself just didn't find a version of The Mandarin that, for this film, resonated like that. So we took the concept, and interpreted it in a way we found interesting, in exactly the same way that countless comic book writers and artists had done before us. What made you guys decide to include such a heavy voiceover? (And why have it be a monologue to Bruce Banner?) The first two Iron Man movies didn't have a voiceover, that I can remember, and it seems like Tony's voiceover does a lot of heavy lifting in setting up a lot of stuff quickly — what was the thinking behind that? You know what? The voiceover was one of the very first things Shane and I decided we wanted to do. There’s a sense of internal journey in this movie that the others didn’t have, what with Tony’s PTSD and panic attacks, and so we wanted him to “own” the movie from the inside out (and that inside / outside theme also applies to the suits themselves). There actually used to be TONS more voiceover in there. And then RDJ, understandably, had a ton MORE ideas. We wrote pages and pages. But ultimately, less ended up being more. Did you guys ever consider playing the Mandarin straight? I know that Shane Black was nervous about the character's Fu-Manchu roots early on. Were there any script drafts where the Mandarin really was the main villain, or a serious threat? What made you guys to decide to have that twist with the Mandarin? You might have noticed, but Shane’s not overly worried about political correctness in any form, so that really wasn’t the driving motivation. It was all about what we thought was most interesting. We actually toyed with a lot of ideas and versions, and I researched every iteration from the comics — not just the ones Shane or I already new from our respective childhoods. But this was honestly the only take on it that we really loved — that felt fresh, and on the themes of the movie. Hiding behind masks, essentially, which is Tony’s big problem. I really believe that where possible, the villain plot should mirror or tap into the same good stuff that the hero’s journey is dealing with. This was the one way we found, through months of discussion that accomplished that ideal whilst also being entertaining and surprising. Here’s the big thing: going into this movie, Shane said to me that what he wanted from my ideas were “bold strokes”. He said the process of a big studio movie will grind down the sharp edges, so you have to push the big ideas from the get-go. The Mandarin was probably our riskiest — and was never going to please everyone. But it’s an idea I’m very proud of, and I feel we 100% made the right choice. A lot of people have been wondering what's up with the Ten Rings organization. It was set up as an ongoing threat in the first movie — is it supposed to be something Aldrich Killian created, or something totally separate? Did the Mandarin just borrow some iconography from an existing Ten Rings organization, as part of his habit of lifting symbols from elsewhere? Now, I prefer to keep a little ambiguity around the concept of a “real” Mandarin, but the movie does clearly state that it’s a centuries-old war mantle that has been used many times before. Maybe it will again. But Killian found it powerful enough to purloin for his creation — and inspiring enough as a concept that it helped shape the Extremis-fueled personality he reinvented himself as. The Mandarin is sort of a caricature of a terrorist, spouting rhetoric that plays well on television and playing with symbols from different cultures. Is there meant to be some implied commentary on Americans' susceptibility to hysteria about terrorism? Was there some concern from the folks at Marvel about that message being too prominent? The Iron Man movies always walk this intriguing line between commentary and patriotism; exposure of the industrial / military complex but celebration of capitalism. Both Republicans and Democrats celebrated the themes in the first movie — I kind of hope we display some of that ambiguity too, despite some satirical points we were making about the war on terror and its coverage. Having said that — of course, there’s a commentary on the voracious, destructive nature of the 24-hour news cycle. And there’s definitely a point being made about the true nature of global warfare as opposed to the media demonization. It’s not a coincidence that Shane and I screened Dr. Strangelove as one of our inspirations going into writing. Among other things, this movie introduces AIM, which is Aldrich Killian's think-tank but still seems to exist at the end of the movie. Was there any talk with Marvel about the need to set up AIM as something that could pop up in later movies? Are there any Easter eggs that I missed that point to the eventual creation of MODOK? I have no idea about future plans. However, there was a lot more AIM in original drafts of this movie that we simply didn’t have time to put in the movie. The pitch by a group of “reimagingeers” to Rhodey of possible rebrands was there. Also, some actual scenes with the Think Tank and Killian. Then finally, the murder by Brandt of that entire group to cover Killian’s tracks. That scene was pretty brutal and I loved it. At first I got the impression that Killian is using the Mandarin to take credit for explosions that are actually just caused by the Extremis virus going awry. But later, we learn that he's working with the Vice President of the US, who will take over once Killian has murdered the President. How does Killian go from just using terrorism as a cover for his scientific failures to actually plotting the takeover of the United States? That's kind of a big leap. Killian is a smart guy, and he’s good at thinking on his feet. He used his think tank to “thunk up” the Mandarin and cover his tracks when the Extremis experiment guys started going hot in the field. But when the Mandarin creation started to work better than expected, he realized the artificial “demon” might have other uses too in his drive for more power. One of the things that defines successful people is their ability to take failure and turn it into success — Killian does this literally It’s also a character evolution, because this is a man with actual power coursing through his body for the first time. Despite his wish to stay in the shadows, he’s getting a taste for it. It’s in his blood now. Plus, of course, there’s a kind of revenge on the world implicit in there too — personified by Tony in Bern. In your version, the Extremis virus doesn't interface with Tony's armor, it just turns people into super-soldiers. So the whole movie, especially the final showdown, has a sort of "biopunk vs. cyberpunk" feel — the conflict is between Tony's machines and Aldrich's bioengineered soldiers. Was that a contrast you guys talked about? Are Tony's machines intrinsically better than the Extremis fire zombies? I think it’s just the difference between a mechanic and a biologist, at the end of the day. Neither is better than the other — Tony, as a futurist, would never suggest that bio research in general was less effective than his own. Though clearly in this case, Extremis wasn’t working properly. It’s more about the misuse and responsibility of science. That’s what the Von Braun speech is all about. 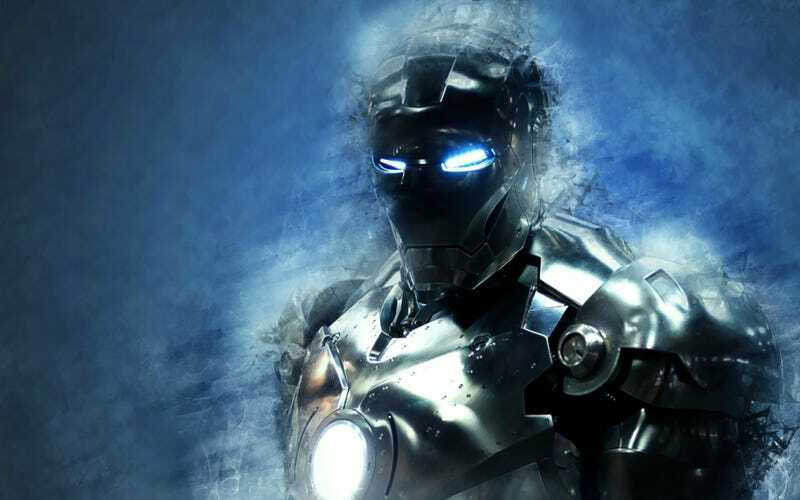 Why does Tony need to destroy all his remaining suits of armor in the end? Why not just stash them, in case the Chitauri come back tomorrow? I think he’s a man of impetuous ideas — and an old romantic at heart. The suit destruction is symbolic of his commitment to Pepper, and of cleaning the slate to move forward. Is that irresponsible in the face of possible alien invasion? Possibly. But is it an effective, poetic grand gesture to the woman he loves that suggests that he is free, at least, of the suit-building, anxiety-driven obsession? I would argue yes. Plus… I’m not a betting man, but if Tony’s back in Avengers 2, I suspect we’ll see more suits. Call me crazy. I was pretty amazed, watching the whole movie, by how much of a mess Tony is through much of it. The panic attacks, the insomnia, and so on. Obviously, he's had some intense experiences — but what made you guys decide to take it that far? Were there drafts where his PTSD and trauma went even further? Was there stuff that had to be dialed back? Or were there moments when you decided to push it further than you originally planned? That actually evolved from the first day Shane and I were talking about things, right the way through shooting and the edit. Basically, IM3 is REALLY a 4th movie – the end of Tony’s traditional hero arc is his selfless act at the end of Avengers. And we were obsessed with making sure we brought “reality” into the movie, particularly after gods and aliens. And so his reaction, like ours, became central to the film. When Avengers came out, whilst we were shooting, the extreme and global reaction to that film kind of became fuel for the PTSD fire. The events gained magnitude, and hence importance – both to us as the filmmakers, and the character. Now, I’d never want to in any way draw too close an analogue to real-life PTSD — I’d hate us to cheapen or trivialize that. But some of my favorite comments on the movie have been from trauma survivors and the victims of panic attacks who say what we’ve portrayed is close to the truth and helpful – I guess just showing a “heroic” figure displaying extreme signs of anxiety. I’m really proud and relieved that’s the case. This was sort of your first big tentpole movie. What was the most surprising thing about being involved in that process? How much of the writing process was just being on set and coming up with new pages on the go, as people had ideas or things changed? Honestly, I don’t think my experience on this movie is at all indicative of how these things normally work — from the unorthodox way I got the job, right the way down to the fact that I was still there six weeks ago when we finished this thing. And I think, in many ways, Marvel are their own thing. I've not seen anyone as effective at putting together the nuts and bolts of a blockbuster so far. Shane and I kicked things around and wrote treatments for four or five months. Then I practically wrote something every week — nearly every DAY — for the next two years. I was on set, in the edit bay… this tiny core team on the movie, built around RDJ, led by Shane and overseen by Kevin Feige, really did just make this thing from start to finish. It was like being on a very big indie movie, and I've loved every minute of it. I suspect that’s partly Stockholm Syndrome — or more appropriately, that chemical reaction the human body has that means it forgets the pain of childbirth over time. But there’s also a part of me, at the end of this, that suspects I won’t get to do something as insanely seat-of-your-pants — yet also gigantic and well-loved — anytime soon. Sniff.